The photo taken in the mid 50s is of the Hatfield Parish Church Choir in front of the west door to the tower. 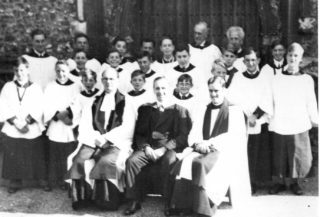 Sitting in the middle is Mr Collins the Organist and Choirmaster with The Rector Rev Say on his right and Rev David Farnborough on his left. 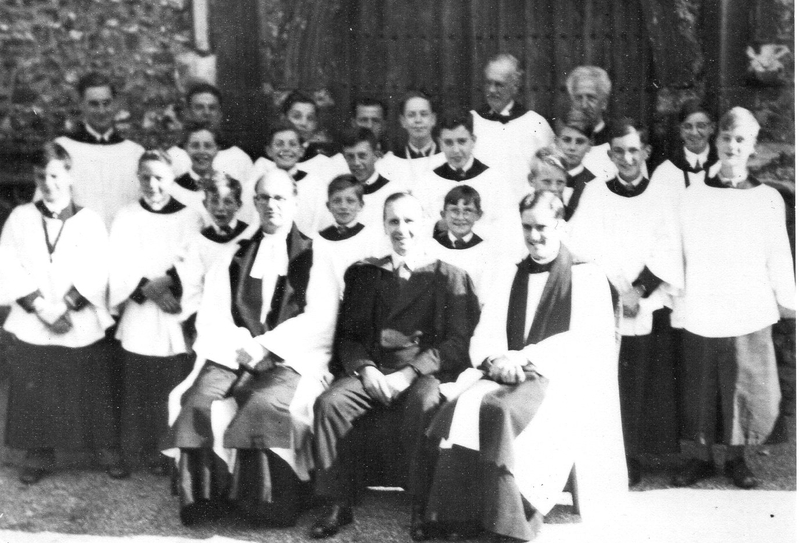 I recognise many faces as in the choir at that time with my brother Trevor being the fair head immediately behind the Rev Farnborough’s . the only other person who’s name I can remember is the tall lad on the far right, who I’m sure is Colin Blunstone who became the lead singer of the Zombies and a singer in his own right and who is still recording songs. This page was added on 20/02/2015.